While God is everywhere in the universe, in different parts of it, one sees his power in different names and forms. 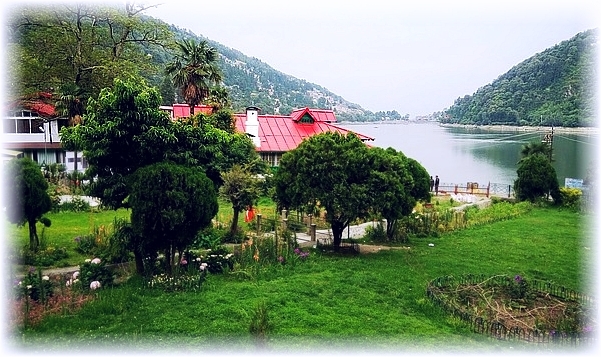 In Nainital it is as Naini Mata, the lovely goddess of the pristine Himalayan Lake of Nainital, a daughter of the most majestic of lakes on Earth, Mansarovar, higher up in the Himalayas from where she draws her water through underground water channels. It is so believed by many, although not yet verified by modern scientific methods but believers need no such proof. My own work in life has spanned from modern science and technology to the spiritual side of life through social, educational and philosophical work. While in one area of activity, I try not to mix in the other for clarity for just as one does not talk of one’s home affairs in office, one does not talk of office work at home for best life practices.